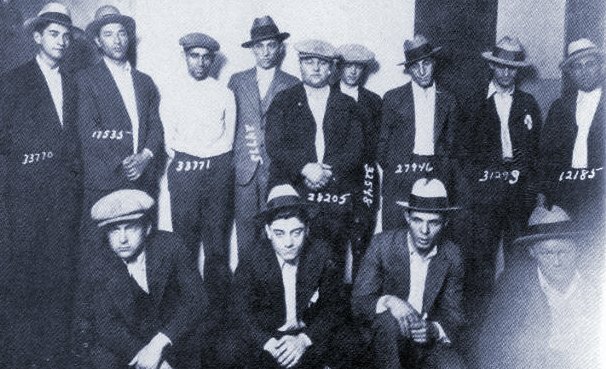 Organized crime takes many forms - from the gangsters of prohibition era America, to the drug cartels of Mexico, and even to the bikers of Finland. Usually crime organizations hum along under the surface of society, terrorizing those who get in their way, but generally flying under the radar. But major events - such as mass murders - can shine a spotlight on organized crime and let the rest of the world see how truly ruthless some of these organizations are. The problem with organized crime is that everyone wants to be the head honcho, and no one wants to play on the same team. That’s why there are so many mafia mass murders. In order to place themselves at the top of the organization chart, gangs have to take out another gang’s squad, and then the cycle begins again. Some of the mass murders that you may have heard about come from rival gangs, but there are plenty of tragedies where hundreds of innocent people have their lives taken over something as trivial as who’s the highest on the totem pole. Some of the most violent and gruesome massacres belong to the cartel mass murders that seem to come with higher frequency every year. Gangs like MS-13, and Los Zetas put the Hell’s Angels to shame when it comes to killing people to make a point. You’ll see on this list of massacres that excessive mob hits and extreme group murders know no international bounds, and that if the bad guys want to kill someone, they’ll find a way to do it. At 10:30 in the morning on February 14, 1929, five members of George "Bugs" Moran's North Side Gang, along with the gang's bookkeeper and one of Moran's civilian friends, were gunned down by four men - two of whom were dressed like uniformed policemen. The massacre was allegedly planned by Al Capone in an attempt to wipe Moran out for good. Moran, who was meant to be at the warehouse where the massacre happened, left his hotel late and arrived after the police were already on the scene. Only one man, Frank Gusenberg, made it out of the warehouse alive, but he died three hours later after stabilizing in a local hospital and refusing to name his killers. In 2010, the Zetas drug cartel ambushed vehicles carrying 72 immigrants traveling through Mexico to the United States and killed them all, one by one, by shooting them in the back of the head while others watched. One man from Ecuador survived - he was shot in the neck and faked death long enough until the cartel cleared out. After questioning he revealed that the Zetas offered their victims the choice of paying a ransom for their lives, or working as hitmen for the gang. When the immigrants balked they were murdered immediately. What was meant to be a regularly scheduled meeting about political rights for motorcyclists at a restaurant in Waco, Texas turned into a Russ Meyer movie when members of the Bandidos and Cossacks motorcycle gangs started shooting at each other over a parking spot. Apparently someone's foot was run over in the spot and tempers running high. When the cops showed up with a SWAT team, the gangs switched from shooting at each other to shooting at the police, turning this 2015 event into the bloodiest event in Waco since the Branch Davidian fire in the early '90s. After arresting around 170 people, police confiscated everything from guns to chains, brass knuckles, knives, clubs, and batons. 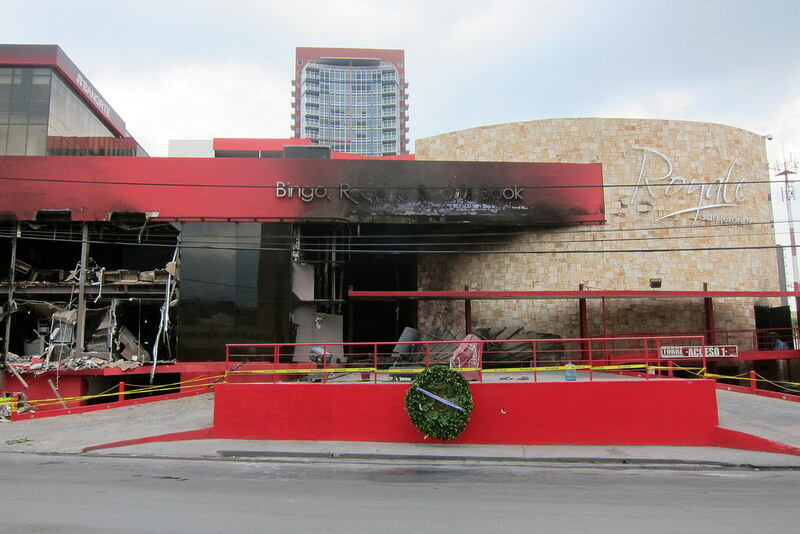 On August 25, 2011, members of Los Zetas drug cartel descended from a series of vehicles and surrounded the Grupo Royale Casino in Monterrey, Mexico. They quietly stormed the casino's main entrance, opened fire on the gamblers, and then doused the casino entrances with gasoline and started a fire that trapped everyone inside. Naturally, the gamblers panicked and a riot broke out in the casino. People were trampled on by those who were trying to escape, and anyone who hid in the bathrooms later died of smoke inhalation. The final body count from the authorities was 52 deaths. According to the perpetrators, the attack was intended to send a message to the owner of the casino for failing to pay an extortion.